Paradoxically, despite the aspirations of its Energiewende, Germany has put more big coal and lignite power plants into operation in recent years than any other European country, the culmination of long-lead-time projects planned over a dozen years ago when no one cared that much about carbon dioxide. Paradoxically, despite the aspirations of its Energiewende, Germany has put more big coal and lignite power plants into operation in recent years than any other European country, the culmination of long- lead-time projects planned over a dozen years ago when no one cared that much about carbon dioxide. 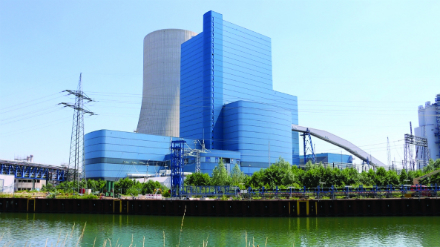 The last of these to remain in the construction phase – and the only coal fired power station still being built in Western Europe – is Uniper’s 1100 MWe Datteln 4, originally slated for operation in 2011 or thereabouts, which has been delayed for many years in a morass of permitting issues. A big step towards resolution of these was achieved in January 2017 with the issuance by Muenster district court of an emissions control permit, paving the way for completion. However there is now a new twist in this long running saga: the plant ran into serious stress corrosion cracking problems with the T24 alloy used in its MHPS supplied boiler and is now planning to replace the boiler walls with new walls employing T12 instead, a repair concept developed by MHPS. The repairs will cost about 200 million euros and put back commercial operation to summer 2020. Uniper has booked an impairment of €270 million for Q1 2018 as a result of the further delayed start up. The issue came to light during commissioning tests in late autumn 2017, during power ramp up. Problems with this alloy have been widespread in recent new build coal projects, but because of the delays it might have been thought that Datteln 4 would have been able to fully apply the lessons from other projects (eg application of special welding procedures and heat treatment) to alleviate the problem. He pointed out that 100% of the weld seams had been inspected prior to the initial commissioning phase, but unfortunately, the stress corrosion cracking damage experienced by T24 “only occurs as a result of the interaction of a very specific temperature, pressure, and water chemistry inside the boiler pipes” and thus only happens when the boiler is commissioned.